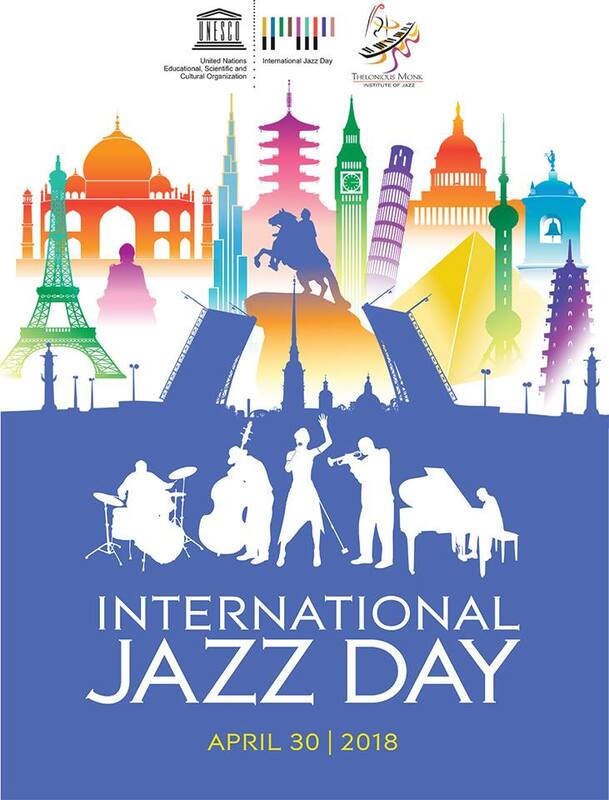 Today is International Jazz Day. 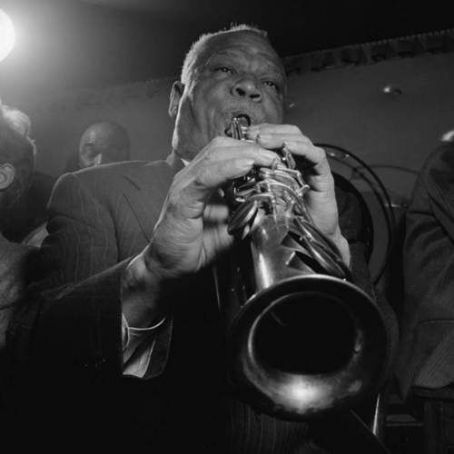 In honor of International Jazz Day, here is a photo of famed New Orleans reed player, band leader and composer, Sidney Bechet, playing his famed alto saxophone. 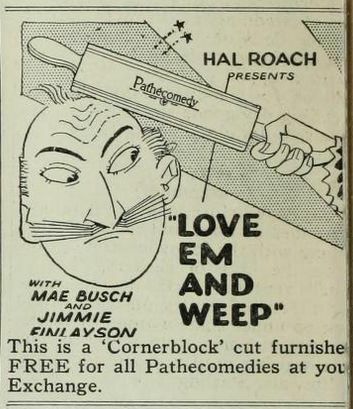 Bechet led a troubled life. He was deported from France after a women was shot during a gun battle between Bechet and a fellow musician. He went to the UK, where he picked up the soprano sax and got deported after an assault. 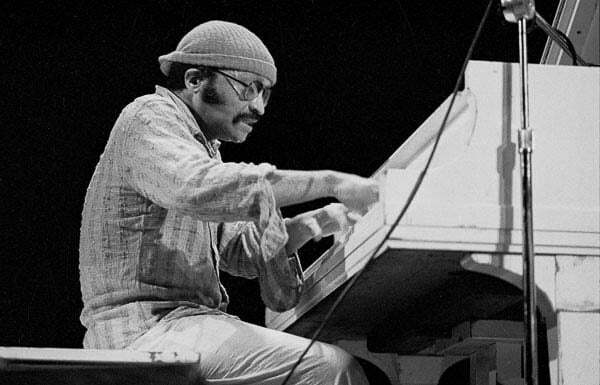 Back in the US, he played and recorded regularly. He returned to France in 1950 and spent the rest of his life there. I always enjoy listening to his music. One hundred years ago today, on 29-April-1918, Eddie Rickenbacker, an auto racer who became America's ace of aces in World War One, scored his first victory. Captain James Norman Hall, who had been a member of the Lafayette Escadrille, later wrote Mutiny on the Bounty with his partner, Charles Nordhoff. 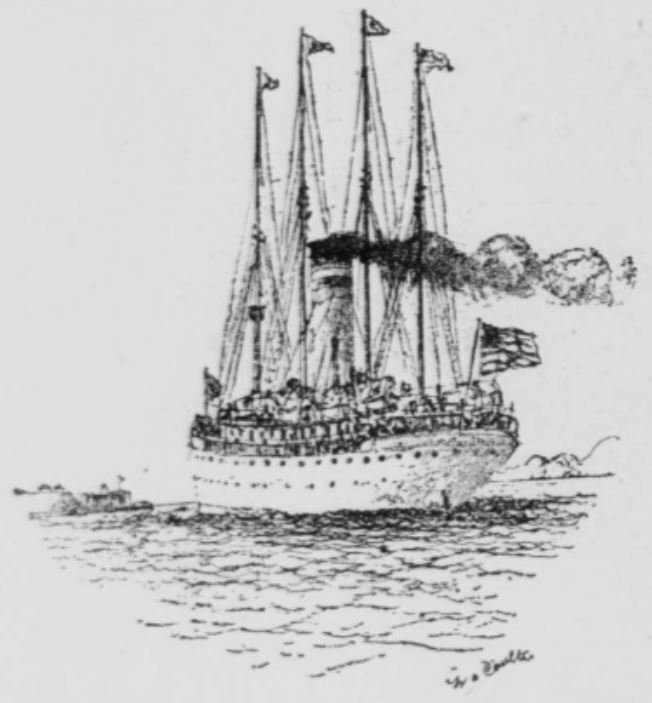 From the Columbia, Missouri Evening Missourian, 01-May-1918. 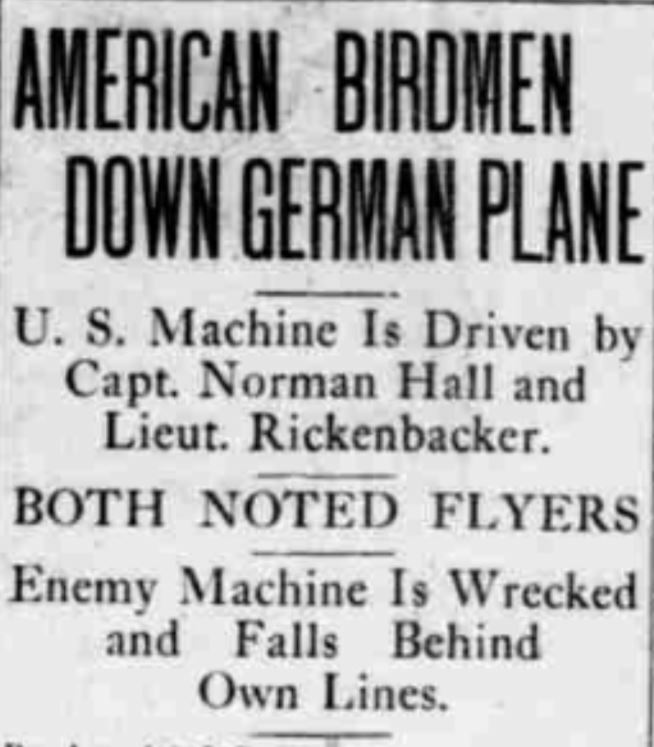 WITH THE AMERICAN ARMY IN FRANCE, May 1 -- A German airplane was brought down in enemy territory last night by Captain Norman Hall of Colfax, Iowa and Lieutenant Edward V. Rickenbacker of Columbus, Ohio after a duel over the American lines on the Toul sector. The American birdmen first engaged the enemy machine over the American lines. Lieutenant Rickenbacker swept over the German and opened fire with his machine gun. Captain Hall opened fire from behind the plane. The German made a desperate attempt to escape, returning the fire of the Americans but finally fell behind the German trenches. Captain Hall and Lieutenant Rickenbacker returned from the fight unscathed. Captain Hall served as a private in the British army at the outbreak of the war. Later he joined the French aerial forces. 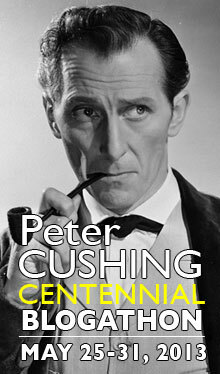 He is the author of "Kitchener's Mob." NEW YORK, May 1 -- Lieutenant "Eddie" Rickenbacker resigned as chauffeur of General Pershing's automobile because he wanted more speed according to his friends here. He obtained a commission in the aviation service within three months after he left America. Rickenbacker first came into prominence as a speed driver in 1911 when he appeared at Indianapolis, Providence and Sheepshead Bay, New York. From the South Bend, Indiana News-Times, 01-May-1918. WITH THE AMERICAN ARMY IN FRANCE, April 30 -- (6 p.m.) -- Lieut. "Eddie" Rickenbacker, of Columbus. O., an automobile racer, has engaged in his first air fight on the Toul front, and helped to win a victory. Lieut. Rickenbacker, and Capt. Norman Hall, of Colfax. Ia., gave combat to a boche airman, downing him in enemy territory after a spectacular fight. "Capt. Hall did the most fighting and deserves all the praise." said Lieut. Rickenbacker afterward. "We got the 'alert' shortly after 6 o'clock on Monday evening. There had been rain clouds, but they were driven away by the sun about an hour before and the light was good as we went up. "We picked up the German on our side of the lines and pursued him into the enemy zone. While flying at a height of about 1,800 yards, a duel began. I flew above the German and opened up on him with my machine gun. In the meantime, Capt. 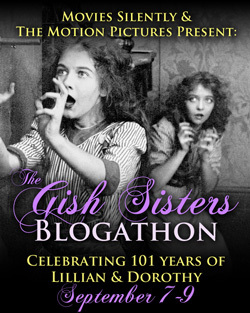 Hall had come up behind and was firing briskly into the boche machine. 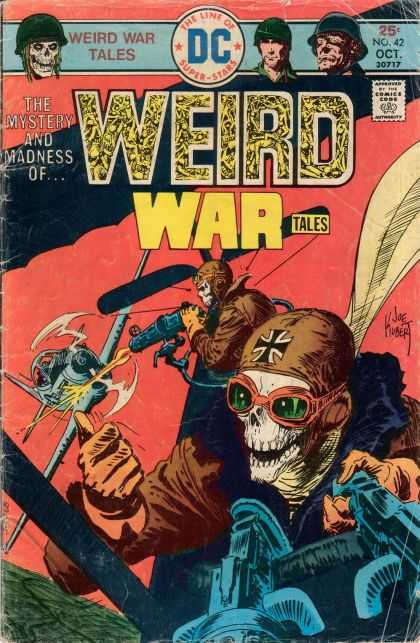 "Our opponent tried every possible trick to dodge us, but we kept pecking at him with our machine guns. Finally smoke began to pour out of his machine. It nay have been due to fire started from our bullets, hut I am not certain on that point. At any rate the machine started to descend rapidly. 'We kept after the Hun machine until it got too close to the ground, Capt. Hall sending in a few final shots. Hall fired 250 rounds in all while I fired about 200. "It was a pretty fight, hut it was over in a few moments. Some of the bullets fired by the German pierced the wings of Hall's machine." Capt. Hall served as a private in the British army. He returned to America and wrote a book called "Kitchener's Mob." He is now writing a serial about his air adventures. Rickenbacker drove cars in many of the biggest automobile races in America and is proving himself a very daring aviator. The machine shot down by Capt. Hall and Lieut. Rickenbacker was the third officially reported in the past three weeks. Several others were unofficially said to have been brought down. 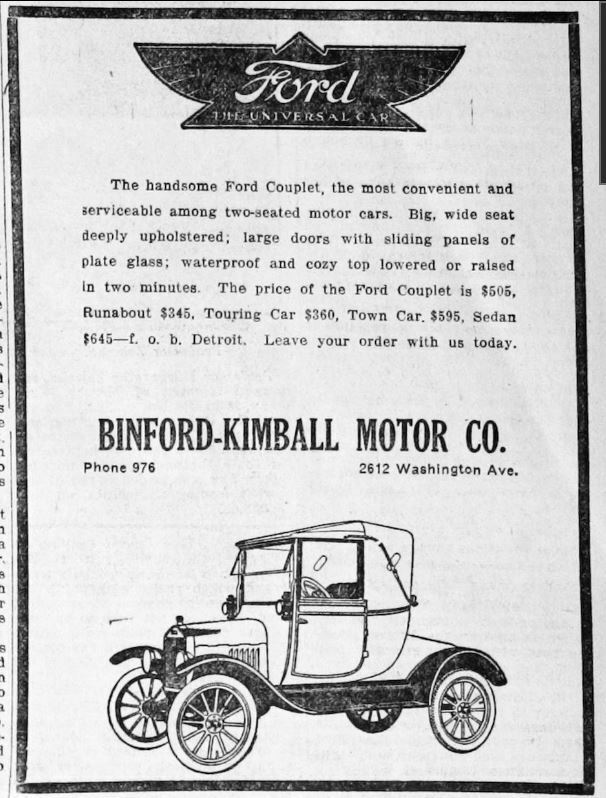 An ad for the Model T Ford. I don't remember seeing the name "Couplet" before. 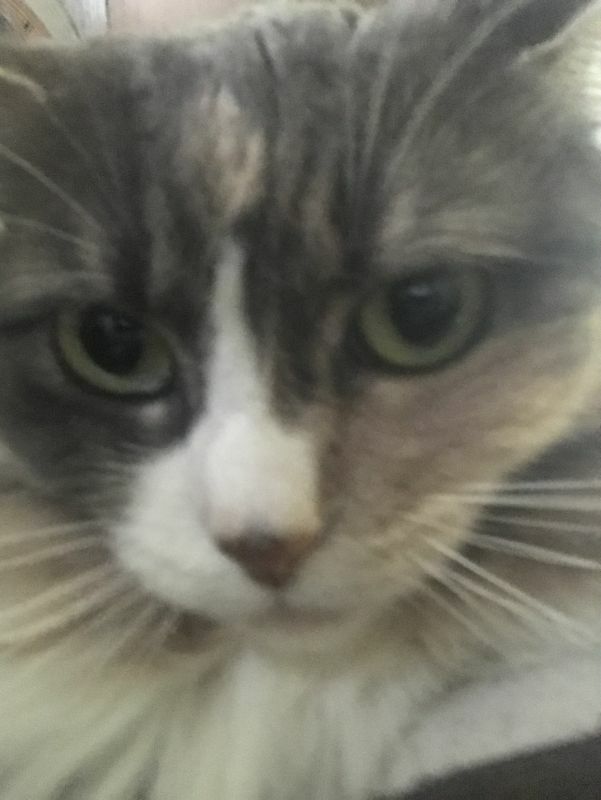 I took the photo on 11-April-2018. 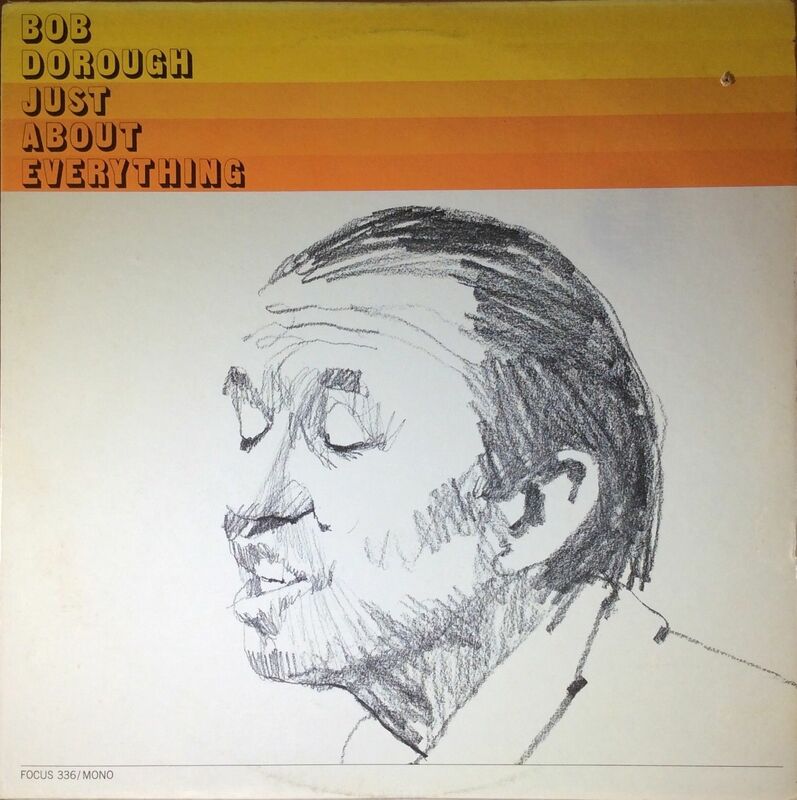 I was sad to learn that Bob Dorough has passed on. Most people remember him for Schoolhouse Rock, but I like his other work, too. He even got to sing with Miles Davis. 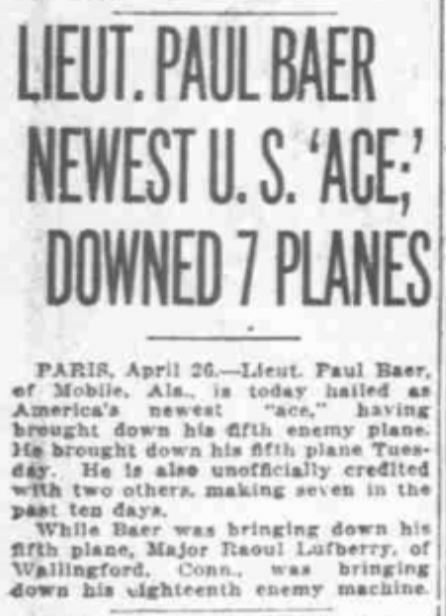 100 years ago today, on 23-April-1918, Paul Baer became the first person to become an ace while flying for the US military. After the war he continued in aviation. He died in an accident on 09-December-1930. 100 years ago today, on 21-April-1918, Manfred von Richtofen, called the Red Baron, regarded by most as the greatest pursuit pilot in the war, was killed. There is controversy about how he died. He was credited with 80 victories. Flying his triplane near the Somme River, Richtofen was chasing a junior Australian pilot who had shot at Richtofen's cousin Wolfram. Canadian Captain Roy Brown dove into their midst to protect the junior pilot. Australian anti-aircraft gunners also shot at Richtofen. A bullet passed through his heart and lungs and killed him. It probably came from the ground, but the RAF credited Brown with the victory. Richtofen remained alive long enough to land his triplane. The British buried him with military honors. Oswald Boelcke created many of the tactics used by German fighter pilots. Max immelmann was a brilliant flier. LONDON, April 22. -- Captain Baron von Richtofen, who was killed on the Somme battlefield yesterday, was the finest airman the world had ever seen. I fought several battles with him and I have reason to know that he was not only a good fighter but that he was the best sportsman on the German side. He had the reputation of never killing an enemy when he had him cold. From a military point of view, I am glad he is gone, but he was a good sportsman. After driving his opponent down, he often landed beside him, helped him from his machine, and saw that he was comfortably treated. Richtofen'a shooting was not as good as might have been expected from a man of his reputation at least I thought his shooting was not very good but what he lacked in shooting, he made up in judgment. His judgment was amazing. He seemed to divine the enemy's next move. Richthofen was such a big man that his death is bound to make an enormous difference in the German air service. He was far above the other German airmen, whom he inspired and held together. They are bound to hold back a bit now that he is gone. To my mind, by killing Richthofen, it is not too much to say that we have blotted out the greatest obstacle to Allied supremacy in the air. It has been said that he was credited with all the victories of his circus, but I think he personally accounted for the total number of opponents to his credit. OTTAWA, April 22. -- The funeral of Baron von Richthofen, the famous German aviator, who was brought down last night by the British, was held this afternoon, according to a cable dispatch received here to-night from Reuter's correspondent at the British headquarters in France. "The funeral was a most impressive spectacle," says the dispatch. "The airman was buried in a cemetery not far from the spot where he was brought down. 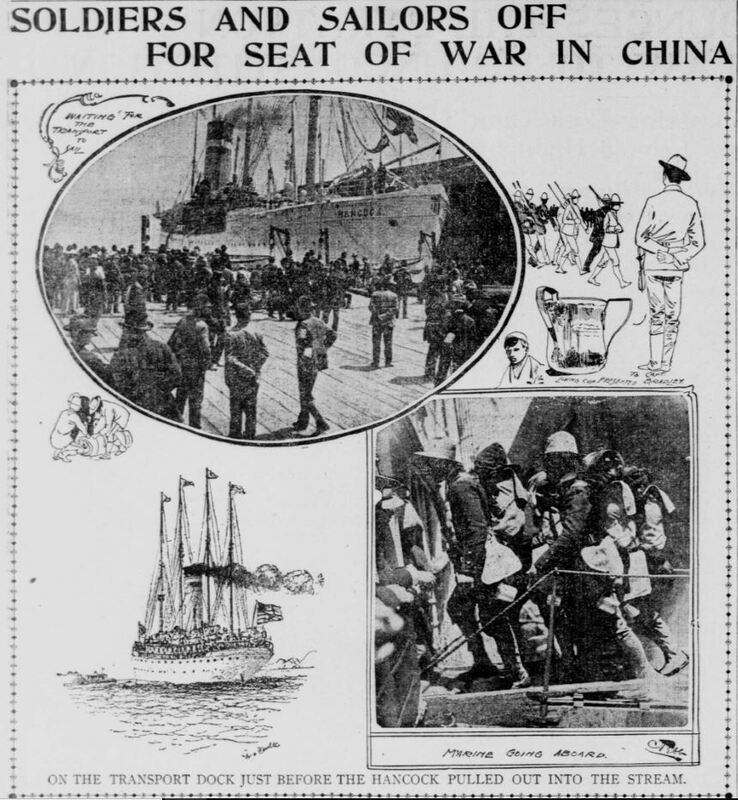 Members of the air service attended." WITH THE BRITISH ARMY IN FRANCE, April 22. -- Baron Manfried (sic - JT) von Richthofen, the famous German aviator, was shot down and killed last night back of the British lines along the Somme front. Details of the death of the airman are lacking, but, as showing the temper of British officers, it may be said the correspondent heard the ardent hope expressed that Richthofen died fighting in an air battle with a worthy opponent rather than by being shot down by anti-aircraft guns. 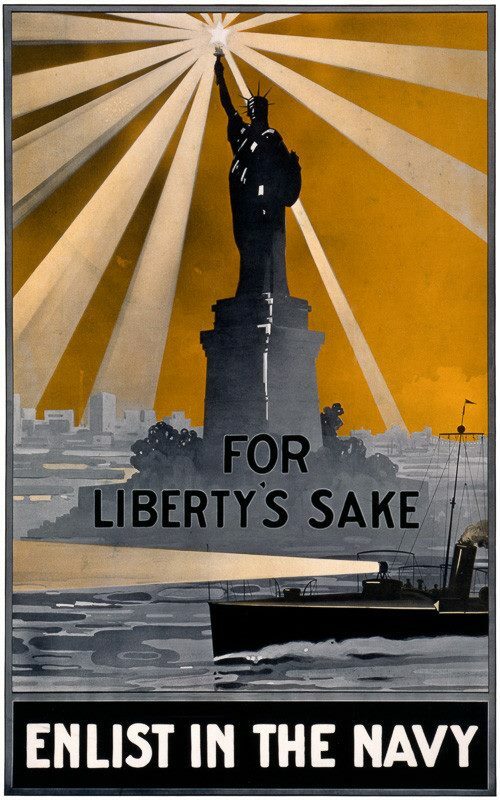 LONDON, April 22.-- An official statement reporting aerial operations issued yesterday at Berlin said: "Baron Richthofen, at the head of his trusty chasing squadron (on Saturday) gained his seventy-ninth and eightieth victories." Baron von Richthofen was credited with eighty aerial Victories, compared with forty for Boelke, the next most famous German flier, who was shot down in October, 1916. Immelmann, the third renowned enemy airman, is also dead. The Germans have a system of calculating their fliers' records, which seems to give them about twice the number of victories they would have under the French system. For instance, Berlin credits an airman with a victory whenever an antagonist is driven down. The French rule is to count only cases where the adversary is brought down within, or in immediate proximity to the French line and where the enemy aviator is either killed or captured. There must be at least three witnesses for each French victory. The most famous French flier, Guynemer, had destroyed fifty machines before he was killed last September. He was generally considered the most brilliant airman of the war. In a single day Guynemer shot down four machines, two of them in a single engagement and within one minute of each other. Great Britain has produced some splendid aviators, especially Major Bishop, a Canadian, but their records are not made public. Captain von Richthofen first attracted attention as the leader of his "Flying Circus," a squadron of gaudily painted German machines which flew in a circle when fighting, so that, when one was engaged, the next flier could sweep the antagonist from the rear. In October last Baron von Richtofen married Fraulein von Minkwitz, daughter of the very wealthy Master of the Horse of the Duke of Saxe-Coburg. On that occasion the Kaiser appointed him his "equerry airman," and it was stated that he would henceforth devote his time entirely to the training of new fighting squadrons. 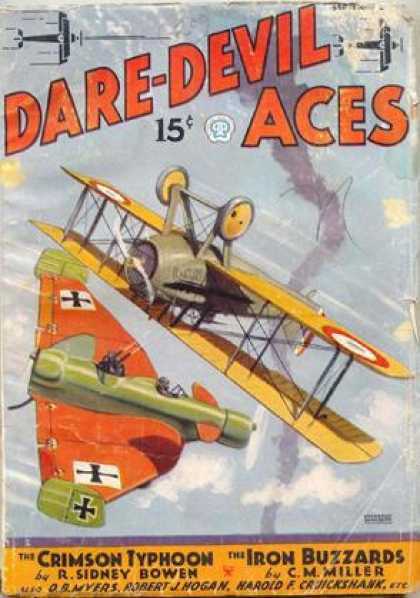 Apparently, however, the lure of the front was too great, and this spring the baron won a brilliant string of aerial duels before he finally met the fate of practically all the airmen who have become celebrated in the war. As a reward for his work in the early days of this year's offensive, the Kaiser conferred on the baron the Order of the Red Eagle, with crown and swords. Last month on Facebook, I was nominated by a friend to list my ten all-time favorite albums. "What really made an impact and is still on your rotation list. Post the cover, no need to explain." I enjoyed the exercise, although it was tough to narrow it down to ten and not make any explanations. 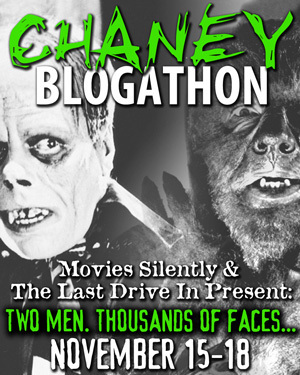 I thought I would use my blog to share the albums and perhaps make some comments. 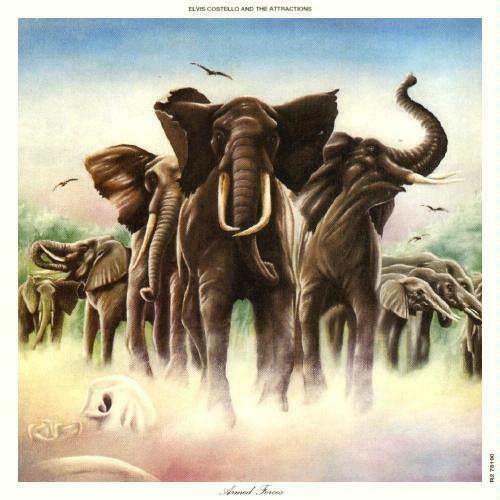 My first choice, because the file name was first in the directory, was Elvis Costello's third album, Armed Forces. This was the first Elvis Costello album that I purchased. I love the music on the LP and the EP. Once I saved up enough money, I went back to Tower Records and bought his first two albums. Some don't like modal jazz; they think the musicians are just playing scales. 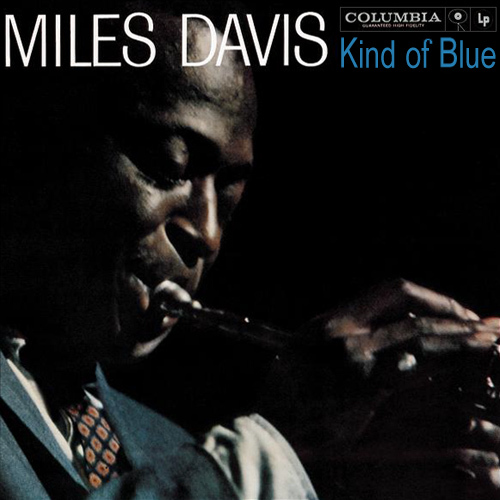 Miles Davis and his sextette are not just playing scales on Kind of Blue. Last year my daughter and I were sitting in the car waiting for my wife. I put this CD in the player. My daughter was quiet until she heard "How Can I Miss You When You Won't Go Away?" She said "That is warped." Yes it is. 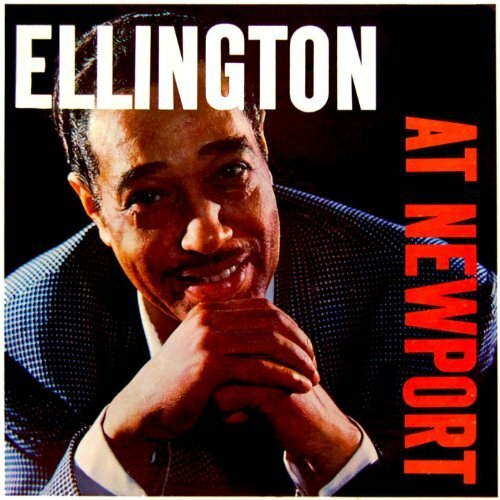 I had trouble deciding which Duke Ellington album to select, but "Ellington at Newport" has the 27 chorus saxophone solo by Juan Gonsalves on "Diminuendo and Crescendo in Blue." 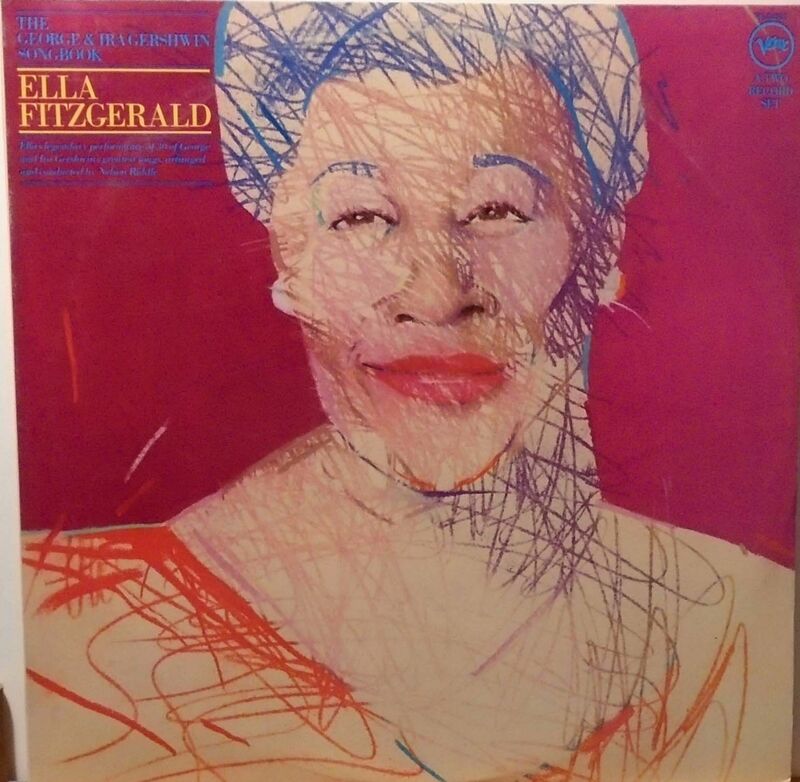 I bought my fiancée all of Ella Fitzgerald's songbooks, but the Gershwin was our favorite. We used two songs from it for our wedding reception. 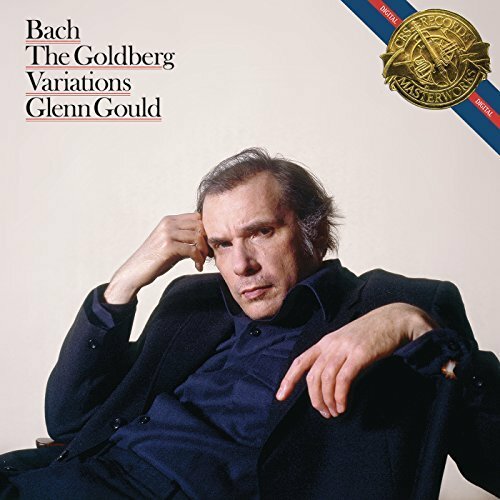 I read in Newsweek that Glenn Gould had recorded a new version of The Goldberg Variations. I saved enough money, which took a while because classical albums cost more than pop or rock'n'roll albums. 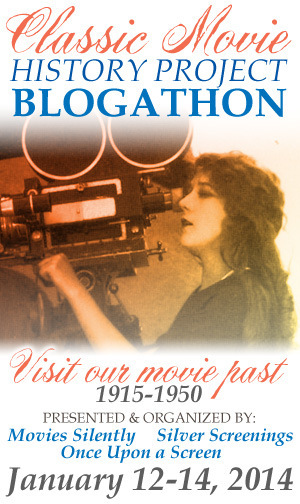 I found Harriet Janis and Rudi Blesh's They All Played Ragtime at the Anza Branch Library and enjoyed it, but I hadn't heard most of the music. 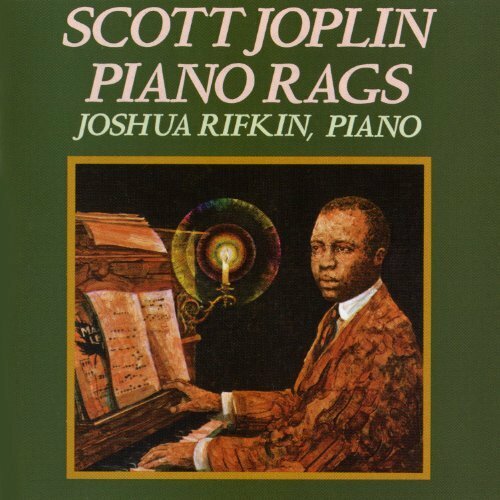 The Anza and Richmond branches did not have any ragtime records, but I found Joshua Rifkin's album at the Main Library. I later bought my own copy. 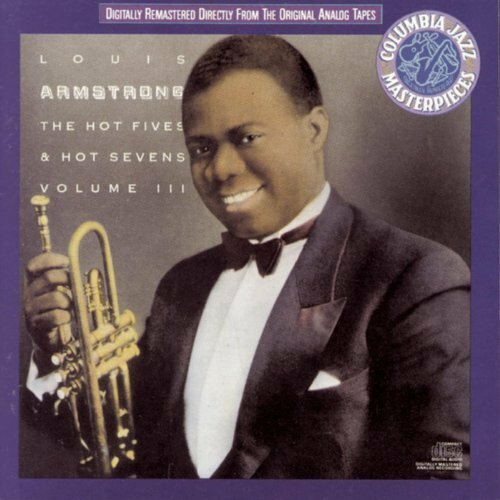 I don't own this actual album, but this image allowed me to represent Louis Armstrong and the Hot Five and Hot Seven with one entry. I love all the recordings. "West End Blues," "Weather Bird," "Potato Head Blues," all of them. 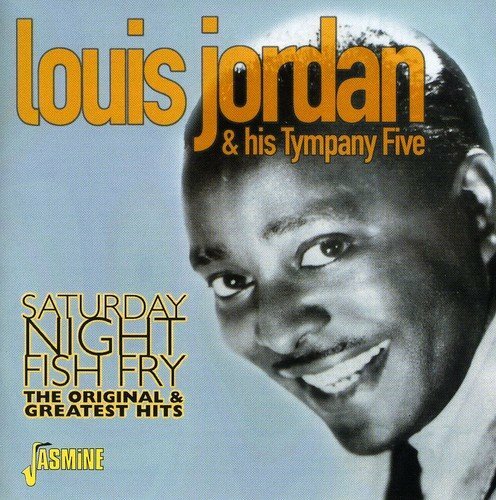 I didn't know about Louis Jordan until someone played "Saturday Night Fish Fry" on KJAZ. I went looking for him at Tower Records. 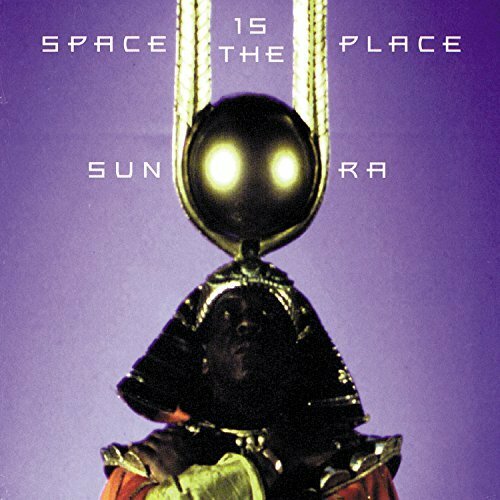 What can I say about Sun Ra? Space IS the place. Some don't believe he visited Saturn in 1936 or 1937. Today is the 112th anniversary of the 1906 Earthquake and Fire. The Sells Brothers Circus appeared at San Francisco's Central Park, near 8th and Market Streets. 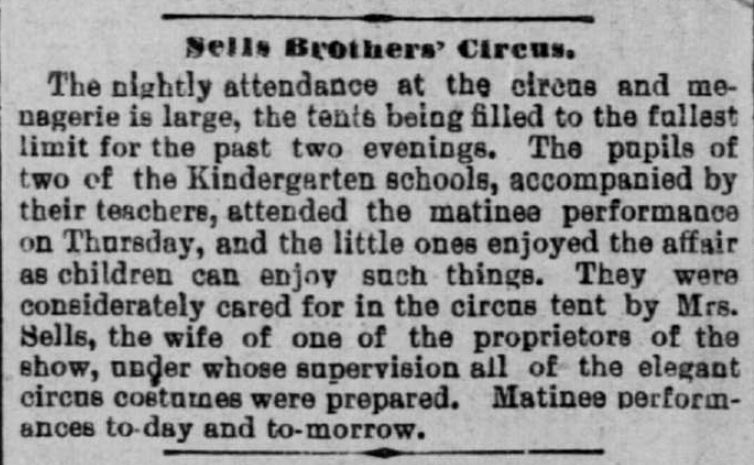 The Sells Brothers Circus was based in Columbus. Ohio. I like the part about Mrs Sells taking care of the kindergarten kids. 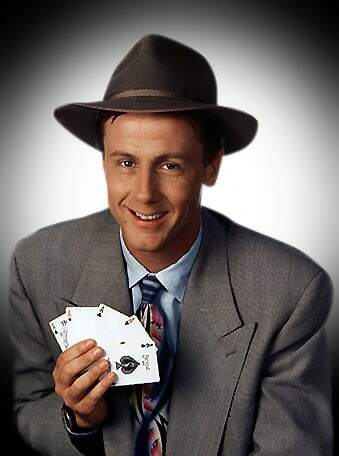 I remember Harry Anderson from Night Court. I also remember him as a magician. 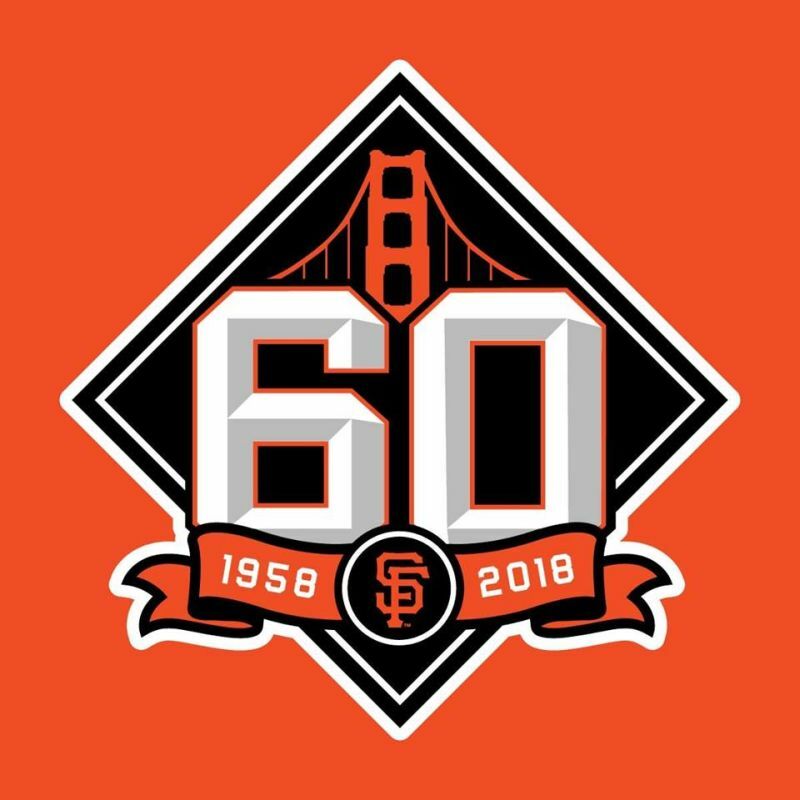 Sixty years ago today the San Francisco Giants played their first game against the Los Angeles Dodgers at Seals Stadium. The Giants moved from Manhattan and the Dodgers from Brooklyn during the offseason. Rubén Gómez started and beat Don Drysdale 8-0. The Giants are celebrating the anniversary this season. British magician Ellis Stanyon published the magazine Magic from 1900 to 1920. Here is a 1908 ad for previous volumes. 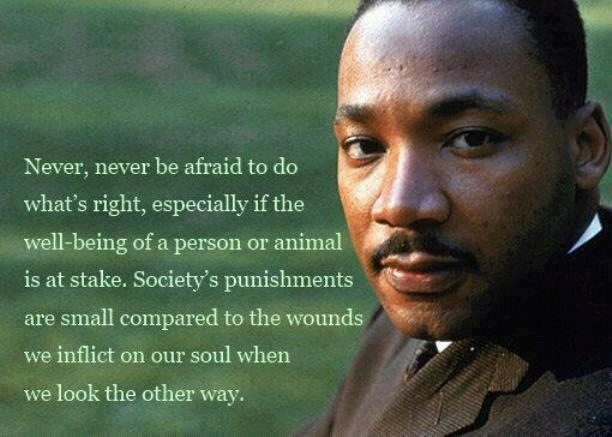 50 years ago today, on 04-April-1968 Dr Martin Luther King, Jr was murdered in Memphis. Lieutenant David McCullough flew this Curtiss flying boat with fifty people aboard. It is a precursor of the Navy Curtiss airplanes which made the first flight across the Atlantic. McCullough later piloted the NC-3, one of the airplanes which tried to make the flight, but did not reach Europe. Forced down by bad weather, she taxied and sailed backwards 250 miles to reach the Azores. Of the three airplanes in the attempt, only the NC-4 made the complete flight. Happy Easter, everyone. 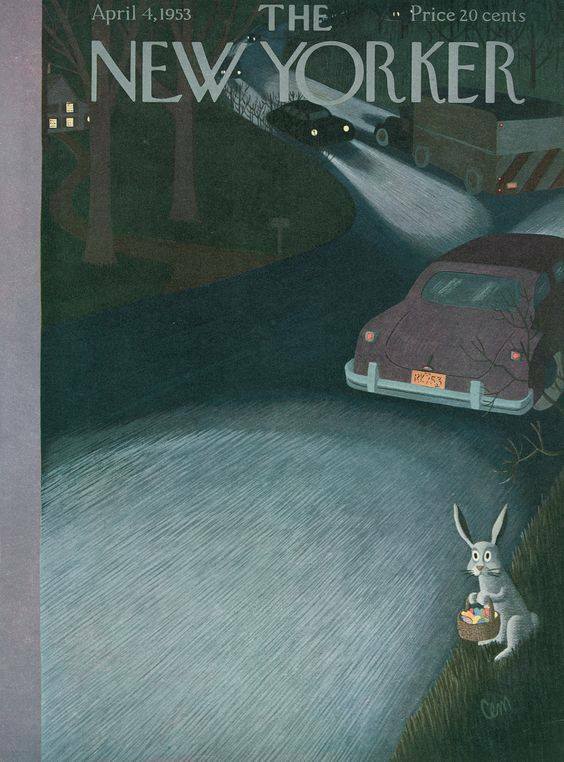 Here is the cover of the 04-April-1953 New Yorker. The Easter Bunny is having trouble crossing the road. Happy 100th birthday to the Royal Air Force, which was formed on 01-April-1918, by the merger of the British Army's Royal Flying Corps and the Royal Navy's Royal Naval Air Service. 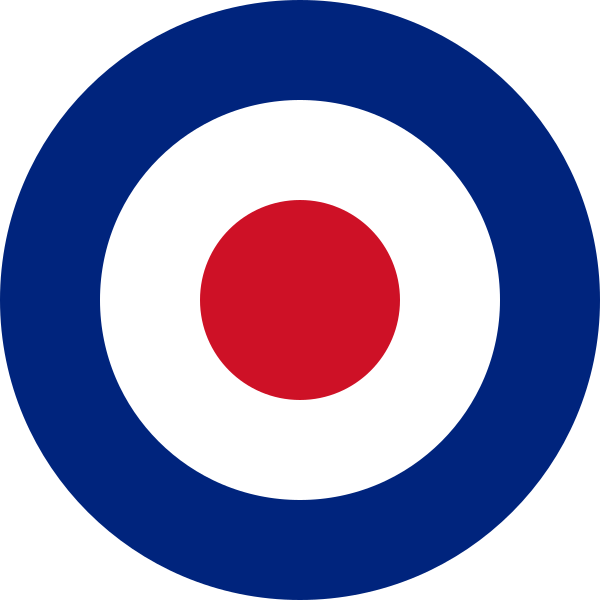 The RAF is the world's oldest independent air force.